If you are moving from print to digital publishing, switching to PDFs might upset your paper book lovers. No need to leave them behind, since FlippingBook brings your PDFs as close to real paper issues as possible. 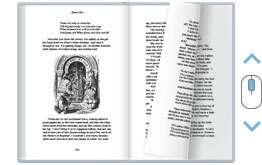 Page flip is the most natural and pleasant way of exploring the content. Done right, it will satisfy your readers and invite them to read your document further. That’s why FlippingBook focuses so much on providing the best page-flip effect in the web. 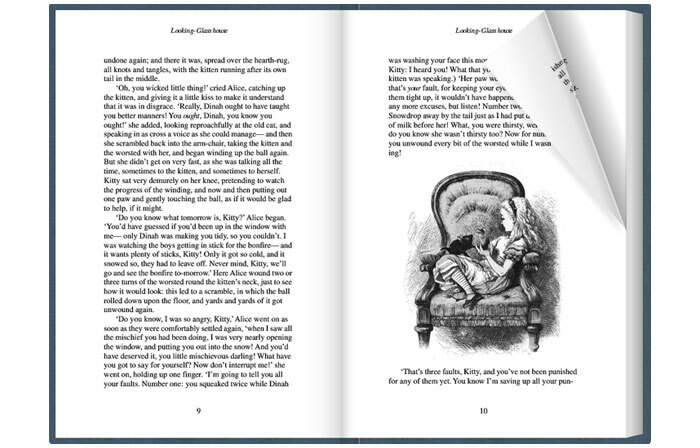 When it comes to publishing a real paper book, every little detail is important. 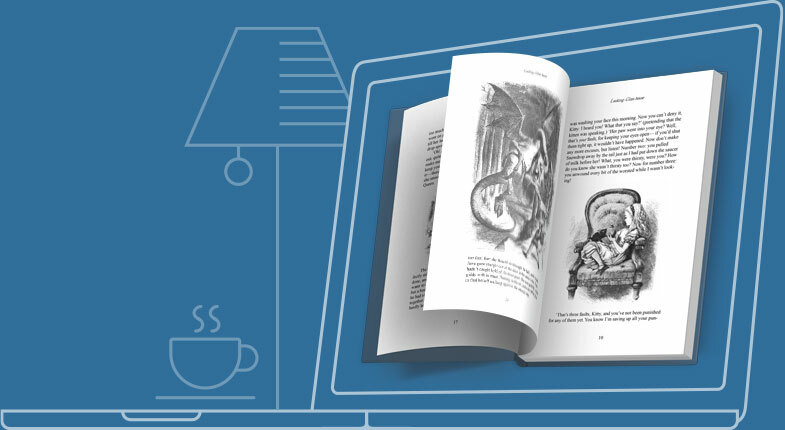 The same details are as important when creating a flipbook, so here’s what we add to make your ebooks feel truly real. Shadows add depth to your online documents, making them look true to life. 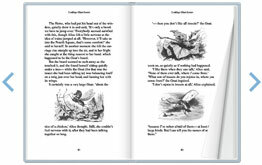 FlippingBook will analyze the number of the pages in your PDF document and give the final ebook the same actual thickness. Hardcover makes any book look impressive. Add it to your content to bring out its high quality. 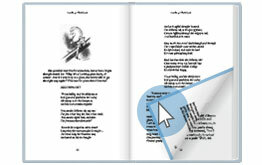 Our pageflip software gives your content a matching background to reinforce its realistic look. 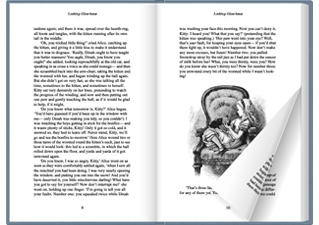 Let your readers forget about tedious scrolling through PDFs. FlippingBook gives them an experience of browsing through an issue that feels natural and familiar. This way they can focus on the content instead of figuring out how the controls work. 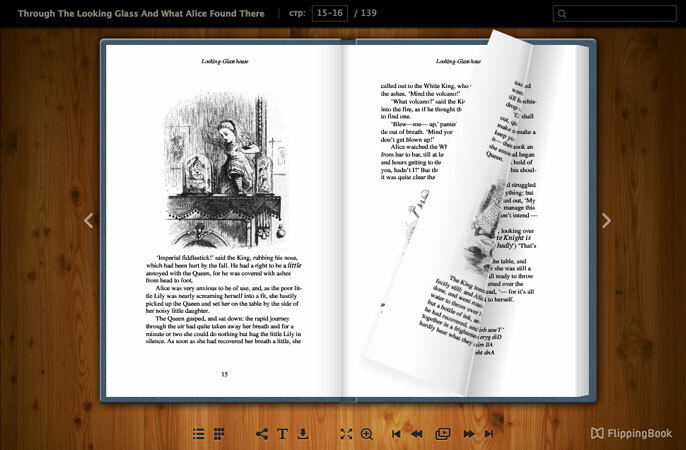 Drag the page to maximize the sensation of browsing through a real book. This is a clear navigation option for easy browsing. 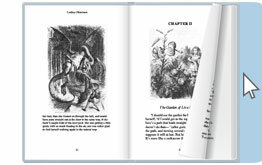 Click on the edge of page or on the flipbook background to turn the page. Use scrolling to turn pages with minimum effort. Set any page of your publication as the first one. 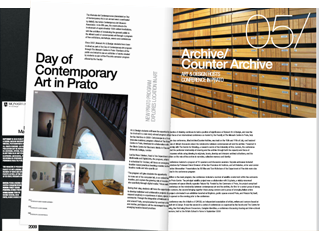 Match the page numeration in the print and digital versions of your issue. Random rustling sounds will increase the resemblance of turning the pages of a real book. Give your magazines beautiful widespreads to create better illustrations or more compelling ads. Adapts both page flip and interface issues that are read right-to-left. Professional desktop software for designers, marketers and enterprises. Simple and fast online service for individuals and small businesses.